The trailer’s heavy load jackknifed, causing the truck to roll. 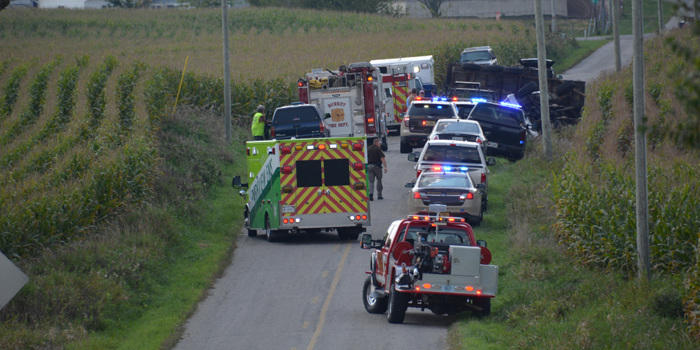 CLAYPOOL — At approximately 1:23 p.m. this afternoon, Sept. 16, an accident occurred on South Beaver Dam Road in Claypool. 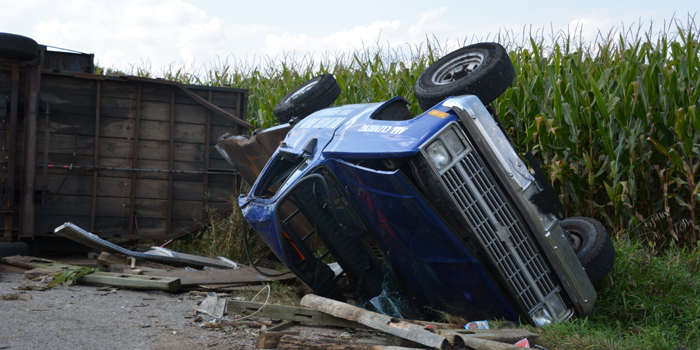 A truck with a flatbed jackknifed causing the truck to roll over. One passenger walked away with minor injuries while another had unknown injuries. Kosciusko Sheriff’s Department, Burket Fire Department, Parkview and Mentone EMS. All through traffic was rerouted around the accident until clean up finishes.